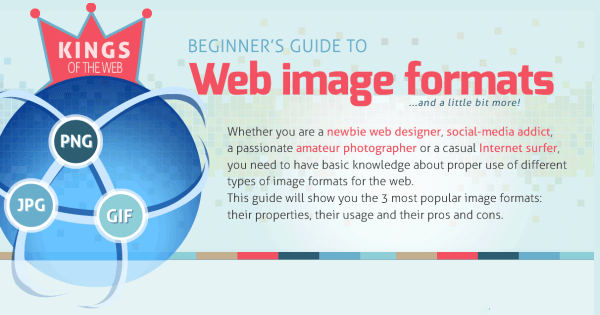 Web Image Formats: All You Need to Know on an Infographic! You are here: Home / How-to Graphics / Web Image Formats: All You Need to Know on an Infographic! Confused about web image formats? Social media images and blog images need to be GIF, JPG or PNG format, in RGB color, and 72 pixels per inch. But what does all that mean? And which format is best for what? Luckily, there’s an education-by-infographic awaiting you today! Here’s a crisp PNG file for you to pin or save for future reference. Comprehensive image information for you from Stedas Dizain! Need more help with Photoshop? Check out this awesome new Photoshop training! Buy soon and get an amazing deal. Questions on web image formats? Ask in the comments! Thanks Louise! Another informative post! I’m glad you found it helpful, Louise. I like the 10 Golden Rules part, particularly #3. Thanks, Louise! You are welcome, thanks for sharing Susan! Great information to know. Thanks! Very useful. Great info, Louise – thanks! You’re welcome Suzanne! Glad you found it useful.